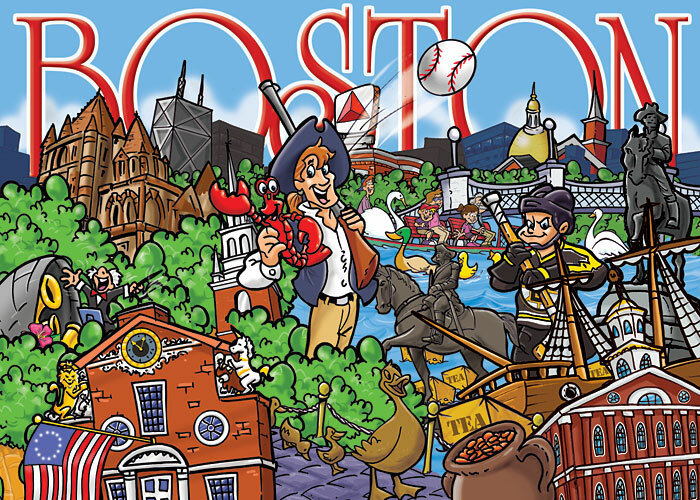 Here’s a cartoon illustration that I did for a souvenir puzzle for a Boston gift shop depicting a wide variety of Boston landmarks. 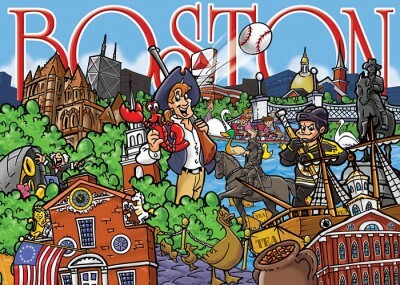 This entry was posted in Illustration and tagged Boston, cartoon illustration, landmarks, puzzle, souvenir. Bookmark the permalink.